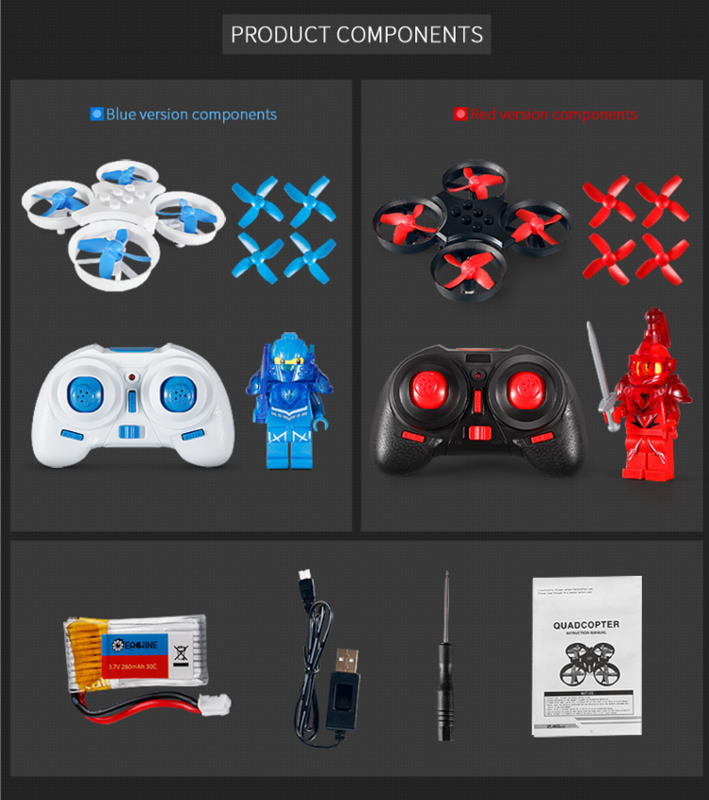 Eachine E011: Just a toy? Just a note that the included instructions are nearly useless. This thing is a blast. 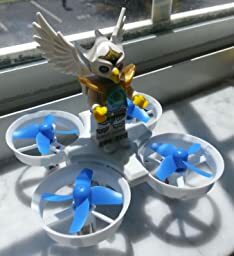 I gave the Lego guy to my son, and I fly this without it for peppy performance. I wish the red LED was on the back instead of the front, but I plan to hack this into a Tiny Whoop so that won't bother me for long. Just a note that the included instructions are nearly useless. I was torn on picking up the E010 or this one, the E011. After reading that this one had better motors and a higher capacity battery, I went with this model instead. This thing is a lot faster than I thought it would be. Handles crashes really well and flies for a long time. Over 5 minutes easy. The brick figure slows it down, which has helped with learning to control it. The brick plate is also compatible with official LEGO minifigures. We've been having fun building custom figures and putting them on the drone. Extra batteries are a must have. Love the price of this drone for the performance. This is a first drone for an adult and despite several spiraling out of control crashes, it's still flying! Add an AOI cam and it's the best tiny whoop you can buy.